A bridal outfit from a vintage Benares, an extinct weave from a Mayavaram loom or presenting our organic silks in Paris a�� the citya��s textile aficionados breathe new life into the forgotten arts. 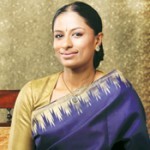 Mathangi Srinivasamurtia��s connect with tradition and heritage in the city is well established. 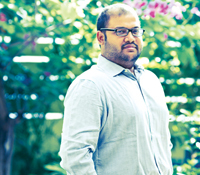 Housed in an old bungalow with its original flooring and antique wooden staircase intact, Srinivasamurti, along with her partner Kiran Rao, insist that Chamiers is about their passion for all things old. a�?We have to do our bit to save the work of traditional craftsmen. And reinventing whata��s traditional to India is very important,a�? she says. Even if the duo cannot be called revivalists themselves, they have been instrumental in bringing many brands that revive traditions in new and modern ways. 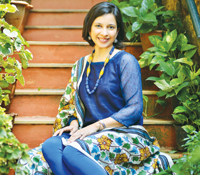 Starting from Jaipur-based brand Anokhi, that revitalised the craft of traditional hand-block printing, to the brand Kreeda, which revives old games like pallanguzhi, and Maya Bazaar, which does chanakam (hand knotted jewellery) in funky designs. 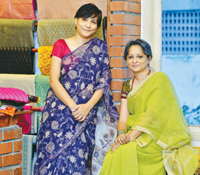 Synonymous with the resurrection of dying crafts and textiles from all over India, brand Shilpi today offers western silhouettes, besides their trademark saris. 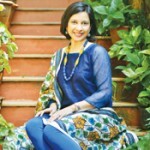 Director Simrat Chadha says, a�?Although we would like to sell old textiles just the way they are, we do try incorporating contemporary twists, because if we dona��t nobody will buy them.a�? 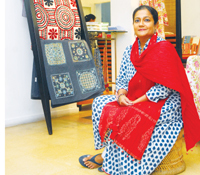 Having taken over the store with her partner Nalini Sriram (a former costume designer for Tamil films), from Arundhati Menon in November 2011, Chadha says, a�?We were sure we wanted to work with handlooms for the next 50 years. Today, we can proudly say that we are the only store in the city thata��s providing a platform to almost every state.a�? She adds that they are looking at exploring the North East section too. 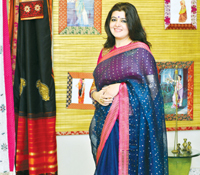 Known for her fascination with vintage saris and antique jewellery, Ahalya S launched her own brand, Kanakavalli, recently, offering authentic Kanjeevaram saris in contemporary prints and colours. a�?Ia��ve always been drawn to antiques, be it furniture, artefacts or jewellery, because I think they speak so much of our culture and traditions. Through my new brand, Ia��m trying to innovate new colours and patterns, but I dona��t meddle with the original weaves,a�? begins Ahalya. 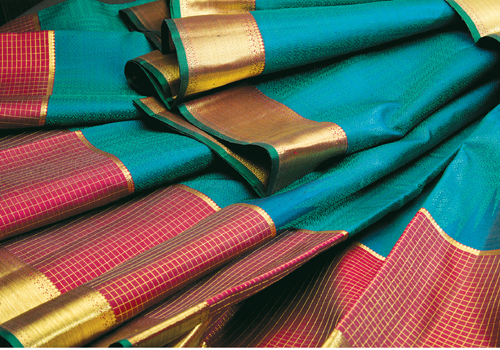 She uses temple borders, checks, three-part saris (muppagam) in pastel colours, and plays with the size of motifs by either making them very small or very big. 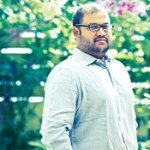 juggling many hats, Ashwin Rajagopalan is known for his fusion vegetarian restaurant and bistro (where he is executive chef), and fine living storea��all under the name Ashvitaa��apart from being the director at Piramal Art Foundation, Mumbai. A lesser known passion of his is collecting ancient beads, coins and terracotta artefacts. Including beads of quartz, amethyst and the rare carnelian, he has collected more than 1,000 beads till date and coins as old as the 16th century belonging to Tanjore Marathas and Madurai Nayaks. If you have your mothera��s or grandmothera��s silk saris languishing at the back of your wardrobe, take them to Sujata Pai and you might just come away with a trendy palazzo and tank top. 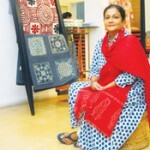 Known for repurposing any old piece of cloth, you will find Paia��s brand, Ambi, regularly participating in exhibitions held by the Crafts Council of India. 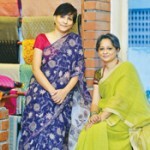 Initially started to transform her old saris, Pai received a great response when she took the idea to her clients. They include wives of Tamil superstars and politicians. 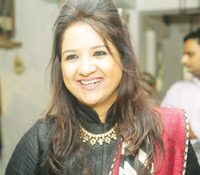 Since starting the brand in 2012, she has designed palazzos, gowns, skirts, tank tops and lehengas from old saris, and presents hand woven, block-printed maheshwari and chanderi saris with vegetable dyes. 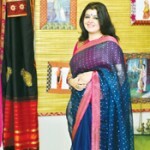 No stranger to ancient weaves and textile techniques, Mridulika Menon is carrying forward the legacy of her mother, Arundhati Menon, who had brought traditional weaves and embroidery from all over India to Chennai for 32 years (as the former owner of the boutique Shilpi). 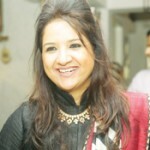 Through her store, Samasta, started in 2009, Mridulika supports artisans from around the countrya��from stoles produced by an organisation for the handicapped in the tea plantations of Munnar and an NGO promoting disaster relief in Uttarkhand, to hand painted kantha embroidered stoles that are providing livelihoods to women in the villages of West Bengal. a�?My mothera��s passion for supporting Indian heritage was instilled in us from a very young age. My sister and I grew up playing with fabrics and trying our hand at block printing and giving colour inputs. I was lucky to get educated by visiting block printers in Jaipur and karigars in Kolkata to name just a few,a�? the communications graduate reveals.